Police officer killed in terror attack in Negev, attacker neutralized. MK injured in clashes with police. A police officer was killed and another injured early Wednesday morning, when an Bedouin attacked security forces securing the demolition of illegal structures in the Bedouin settlement of Umm Al-Hiran in southern Israel. Police units were deployed to the Negev settlement before dawn on Wednesday to protect the demolition team from demonstrators who had gathered at the site of the planned eviction. Before the operation was completed, however, a car driven by an Islamic Movement sympathiser rammed a group of officers. Police responded to the attack, shooting and killing the attacker. 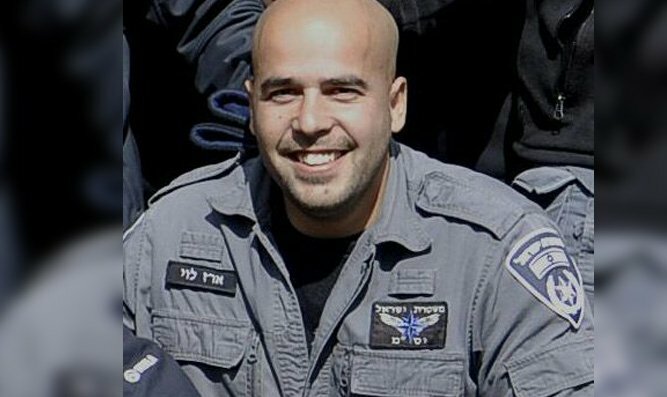 The murdered officer has been identified by police as 34-year old Sergeant Major Erez Levy. The wounded officer is reportedly in moderate condition. Police say the Bedouin responsible for Wednesday’s attack was a member of the southern branch of the Islamic Movement, and may have ties to the ISIS terror group. In the wake of the attack, demonstrators clashed with security forces, hurling stones at officers. Demonstrators protesting the eviction clashed with police in the wake of the attack. Joint List MK Ayman Odeh, who had joined demonstrators to protest the demolition, suffered head injuries during the clashes, most likely from a stone hurled towards police. At roughly 9:00 a.m., a police spokesperson notified journalists that security operations at the scene of the attack had been completed, and the demolitions of the illegal buildings was proceeding.